Did you all enjoy last night’s all-star game ? 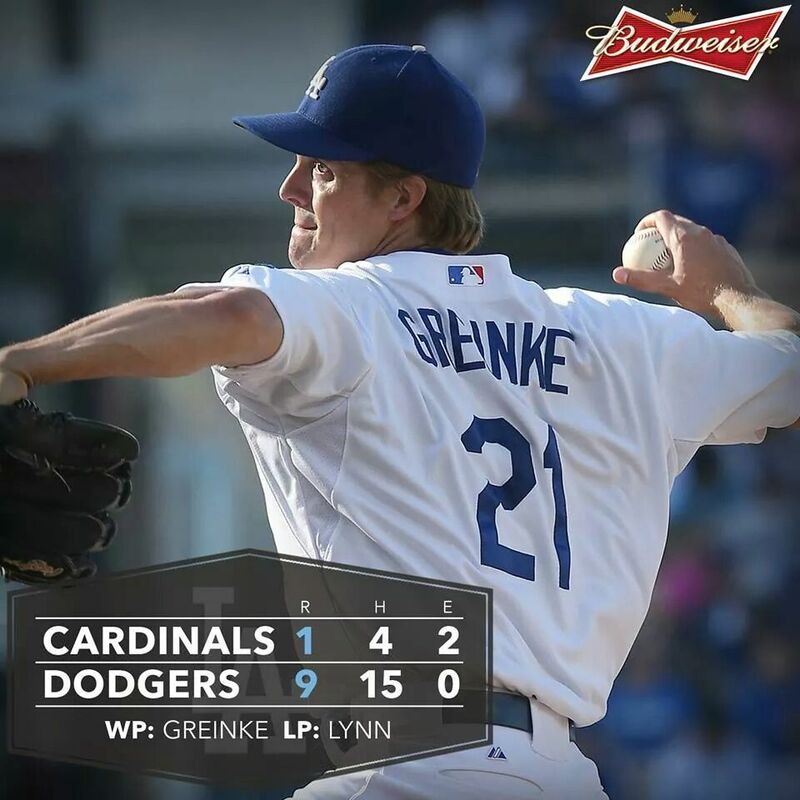 Our boys that represented made quite an impression last night, particularly Kershaw and Greinke, striking out a combined 3 batters on only 21 pitches during their 2 innings. Dee Gordon also made his presence felt scoring on a 2 out double by Jonathan Lucroy of the Brewers and making a fine defensive play in the 6th inning. Congratulations to the Angels Mike Trout on being named the 2014 All-Star MVP . At 22 years of age, Trout is the second youngest player to win all-star game MVP behind Ken Griffey Jr. in 1992. 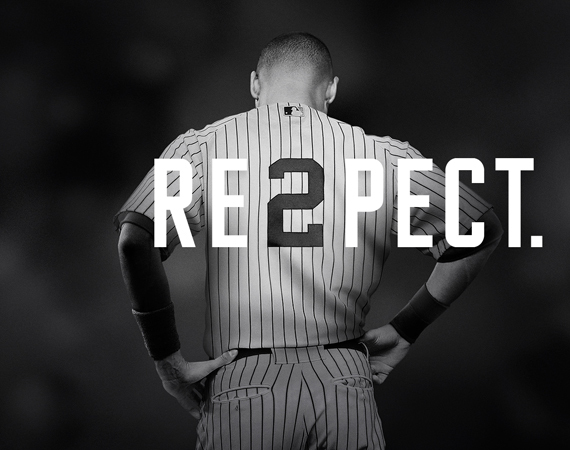 Thank You Derek Jeter for 19 memorable seasons. Last night marked the final time the Yankee captain would participate in an All-Star game, marking the 13th time he would play in the mid-summer classic. Your browser does not support iframes. 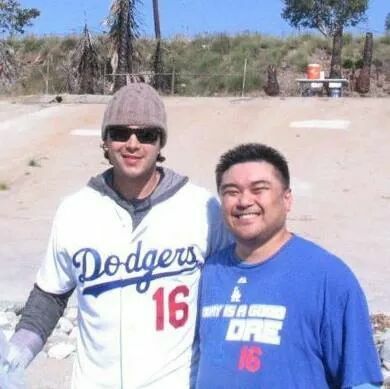 The first half of the season, which seems like the longest 1st half in recent memory given the season officially started in Australia on March 22nd, was filled once again with it’s highs and lows, highlighted of course by the no-hitters thrown by Josh Beckett and Clayton Kershaw. Like last season, the Dodgers did not exactly start the season off fast out of the gate, falling behind as much as 9.5 games in the standings behind the Giants. 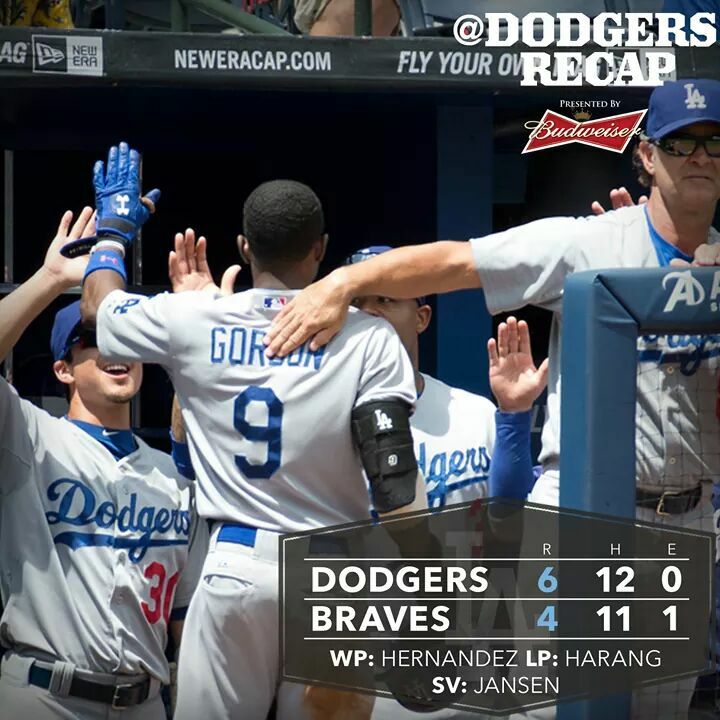 However, the Dodgers, like last season, have rebounded to finish the 1st half strong and will head into the 2nd half not only in 1st place in the NL West but also with the National League’s best record. Why Dre is Happy ? 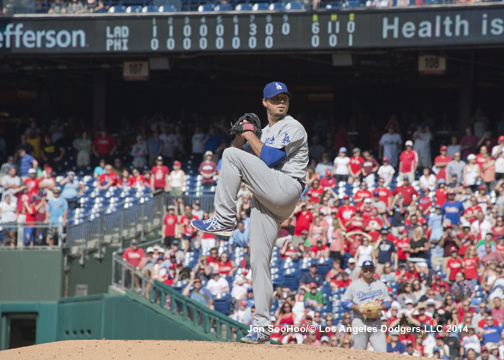 What else can you say about Kershaw and Greinke, perhaps the best 1-2 starting combo in the game right now ? 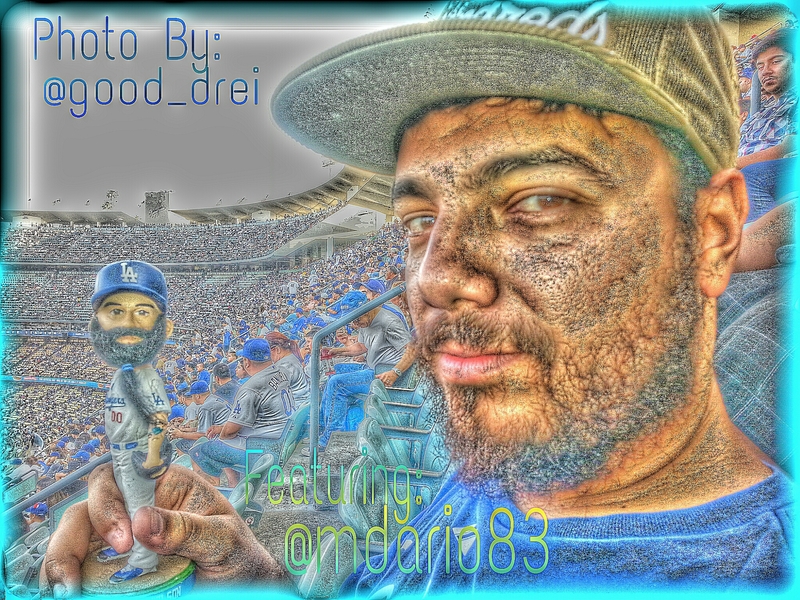 Dee Gordon has proved to everyone that he is now our everyday starting 2nd baseman. Gordon looks more confident in his play this season with both the bat and glove and it is certainly showing . A strong finish to the 1st half has our Boys in position to reclaim the NL West. The back end of our rotation. Dan Haren can be on or off, but his recent lack of velocity could be a factor as to why he has given up 20 home runs. Josh Beckett, at this point a strong candidate for Comeback Player of the Year, has not pitched a full season in 2 seasons and concern over his recent hip condition has raised some other concerns as to how much further into the season he can pitch. Whether he does come back, my concern for Josh is if he can keep up his 1st half performance. Which Brian Wilson will we see in the 2nd half ? Brian blamed the lack of a prolonged spring training to his early season stint on the DL, but since his return has still struggled to return to his late season form of last season. Can Brandon League continue his resurgence into the 2nd half ? JP Howell has quietly done his part in getting the ball to Jansen, who hasn’t quite been as dominant, but still is one of the league leaders in saves. I look for another strong 2nd half finish from our closer. Productivity from the offense. 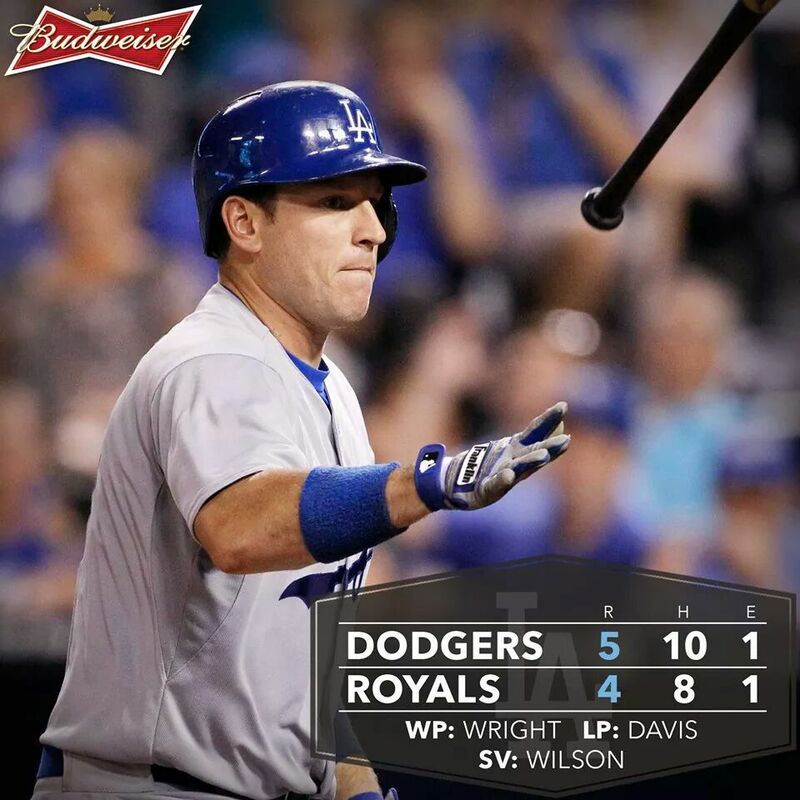 The reason the Dodgers are where they are right now ? You know it. 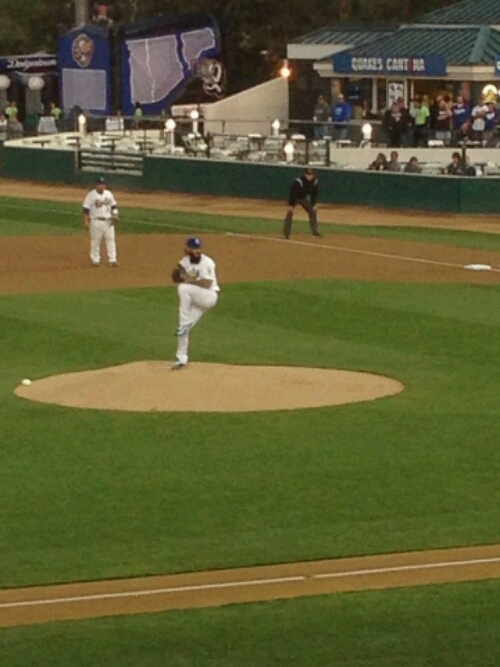 Starting pitching. However, even the best starting 5 could use some needed run support. How will the outfield situation pan out ? Will a trade be in store for the Blue ? Overall, my forecast have been on and off . In the AL East, Tampa struggled early but has climbed to within 9.5 games of the lead. A recent run has Detroit standing 6.5 games ahead in the AL Central, the largest lead of any division leader heading into the 2nd half. Wholesale changes could be in order for the Rangers, 21 games under .500 and 21 games out. I stated that 2 managers could be on the hot seat in the AL West, the two being Ron Washington and Mike Scioscia. It’s safe to say that one is off the hot seat. The other ? Do the Rangers reward Washington for the past 5 seasons and honor his contract extension through 2015 ? So, where do I call an audible ? In the AL East, I’m going to stick with the Rays, even with the fact they sit 9.5 back and have 4 other teams to get past. Should the Rays still be in contention by the end of this month, perhaps all talks of David Price in another uniform will die down. In the AL Central, I picked Detroit and will stick with that. In the AL West, this is where I call an audible, and a huge audible too. This is where I picked the Rangers to reclaim the AL West. As I said, that’s where I call my audible. The AL West could possible have 3 teams in post-season play. 2 of them could very well be a serious threat into October. My call ? Oakland wins it’s 3rd straight AL West title, with the Angels and Mariners as the wild cards. If Seattle can find some offensive support down the stretch, they may be a serious October contender. Playoff Picks. Wild Card Angels over the Mariners , ALDS Tigers over the Angels, A’s over Tampa. ALCS Oakland showed they want it now with the acquisition of Samardzija and Hammel. I’m still sticking with my pre-season AL Champ pick. Detroit. Detroit over Oakland, 3 years in a row. This could be a developing rivalry, right Justin Verlander ? Verlander on A's trade: "They made that trade because of us." Verlander, Tigs have eliminated A's the last two years. Here is where my accuracy is somewhat on target. In the NL East I said it would be a 2 team race between the Nationals and Braves and as of now both stand tied atop their division . After struggling early in the season, the Cardinals have made up 6.5 games in the standings within the last 2 weeks and sit 1 game behind the Brewers atop the NL Central. 3.5 games separate the Brewers, Cardinals, Reds and Pirates in the NL Central. It is possible 3 teams in this division see post-season play again this season. Who could be the one left out of the dance ? And finally. The NL West . 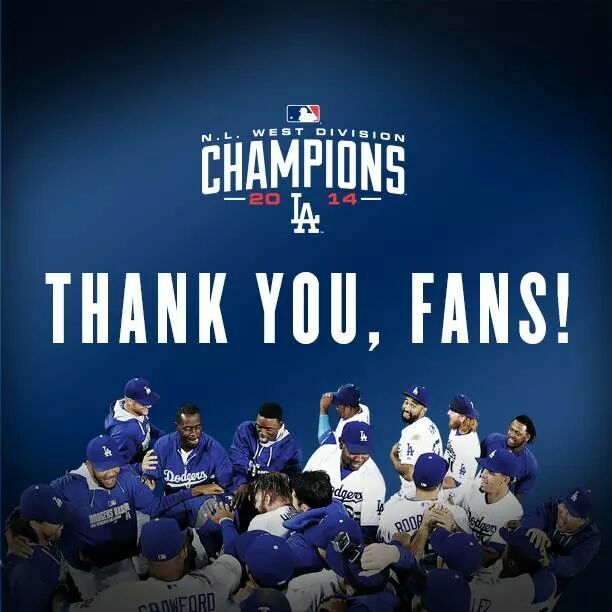 In spite of the fact the Dodgers were the overwhelming favorites to repeat as NL West Champions, I still felt the division would not be a runaway. The Giants started out hot but have fizzled as of late. The Dodgers, in spite of some offensively challenged numbers, head into the 2nd half with not only the lead atop the NL West but with the National Leagues best record and are still the favorites to come out on top in the NL West. The Giants will continue to challenge The Blue, but lack of a serious offensive threat and depth will derail them in the end. As for my other pre-season NL picks, Dre call’s no audible here. For the Wild Cards, i’m sticking with the Pirates over the Braves. For the NLDS , the Cardinals over the Nationals, and the Dodgers over the Pirates, setting up a rematch of last year’s NLCS between the Dodgers and Cardinals, in which I have our Boys in Blue coming out on top. Want more coverage of our Boys in Blue ? 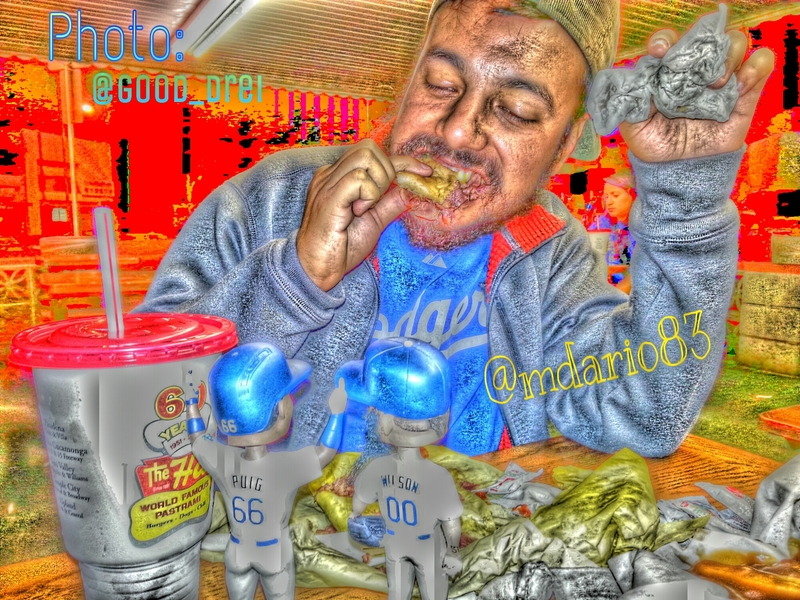 Follow theDodgers Low Down for all things Dodger Blue. This should be an exciting 2nd half. 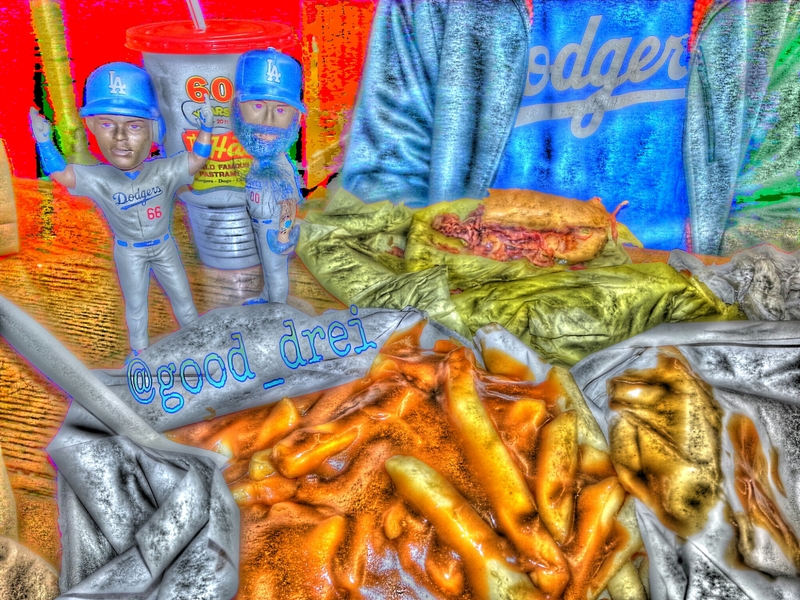 GO DODGERS !!! 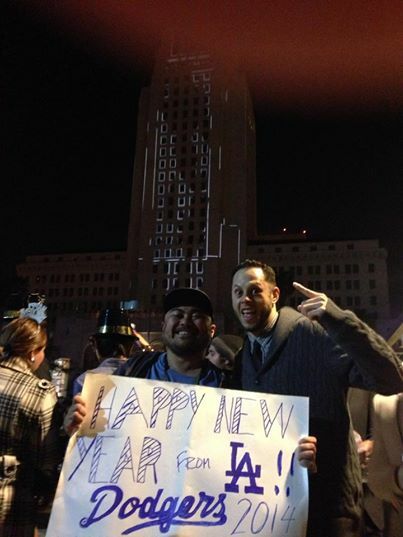 In front of City Hall, NYE 2013 with Benny P. This is gonna be our year !!!! Backed by an offensive explosion that included a 6 run 2nd, the Dodgers, coulpled with the Giants loss in extras to the Reds, find themselves only one game back of the Giants. The Dodgers wrap up their 4 game series with the Cardinals this afternoon with Clayton Kershaw on the hill as they try to take 3 of 4 from the Red Birds and perhaps tie the Giants for the NL West lead. After a couple of weeks off, its back ! For those who have followed, you may have noticed the feature had been on the Mini Puig. Well, today, we’ve added another Mini Creature to the story. Yup, that creature too is a head bobbler . Today, we introduce…. The Mini Beard ! 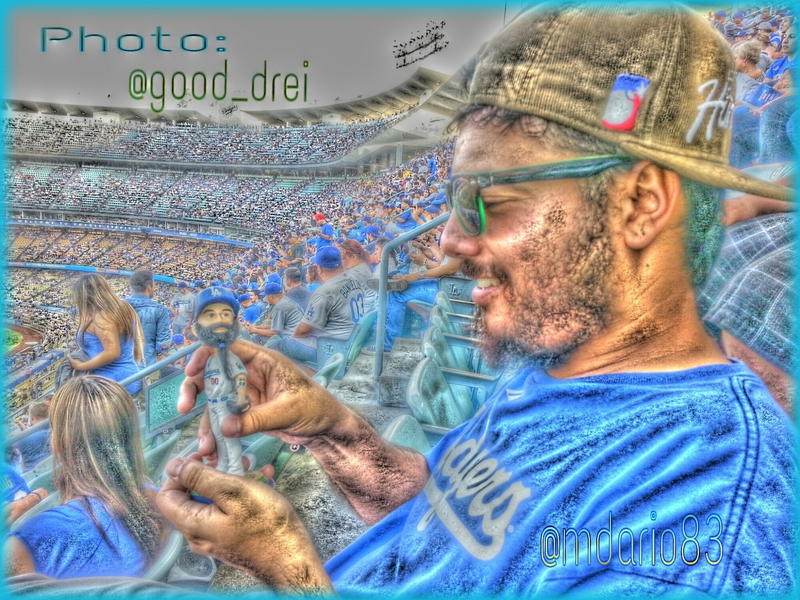 Yup, that mini bearded version of Brian Wilson that every Dodger fan got to take home this past Thursday. Here, The Mini Beard found himself a big bro, Marlon, who you’ll see throughout this and future posts. Can you see the resemblance between the two ? 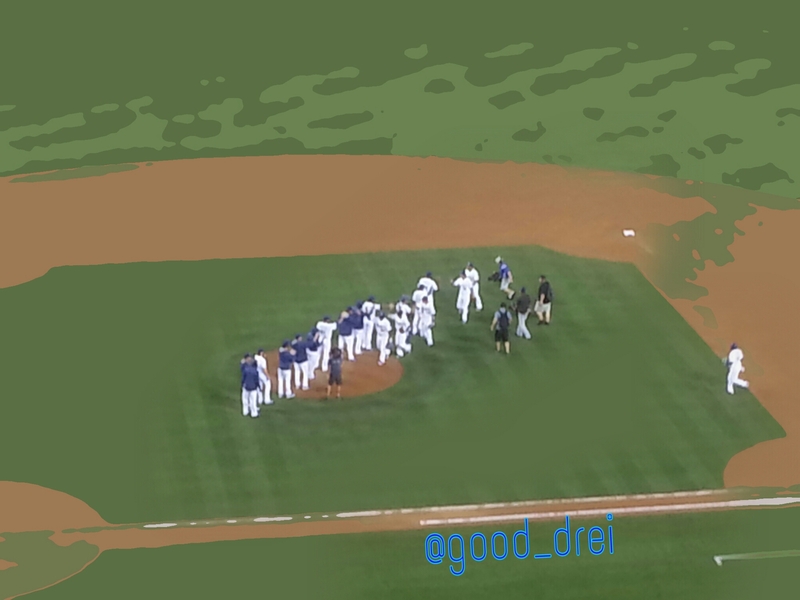 On the field, the sight of the postgame handshake line has been a familiar and frequent one lately for our Boys In Blue, as they have won 15 of their last 23, going from 9.5 games back of the Giants to only one game in a span of just 22 days. 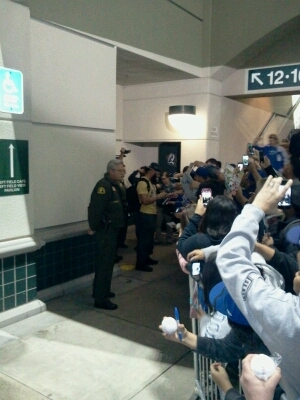 That’s right Dodger fans ! 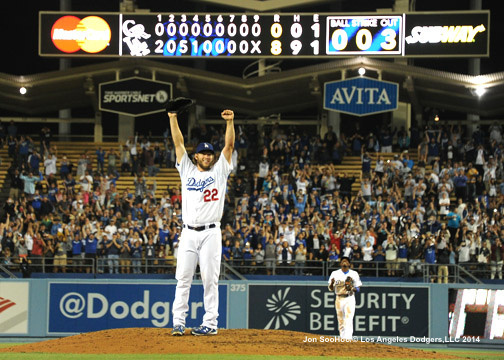 22 as in Clayton Kershaw ! The pitcher who pitched a no-hitter on the 18th . The pitcher who was named Player of the Week for his accomplishments. 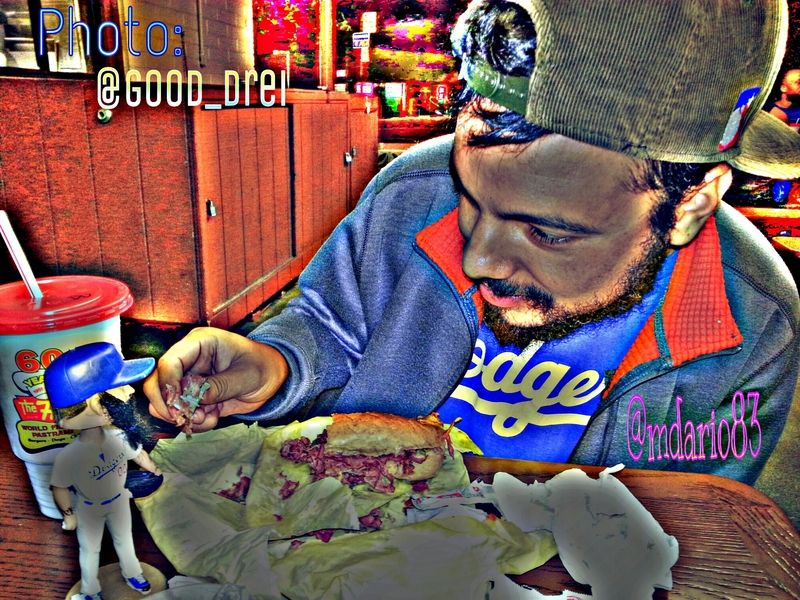 Today’s starting pitcher sundry the Cardinals as the Dodgers aren’t to take 3 of 4…. OK, after a hard fought 1-0 victory over the Red Birds, a game which Brian Wilson should get the win in relief on the night his Mini Ego would be taken home by over 48,000 fans, Marlon’s little Mini Bearded one would venture out toward the 626 on, 6/26. After being threatened by his lil’ bro’, the Mini Beard, Marlz had decided to share some of his pastrami dip. I guess you could say that Marlz did…. FEAR THE BEARD !!! A huge thanks to my buddy Marlon for taking part in this. 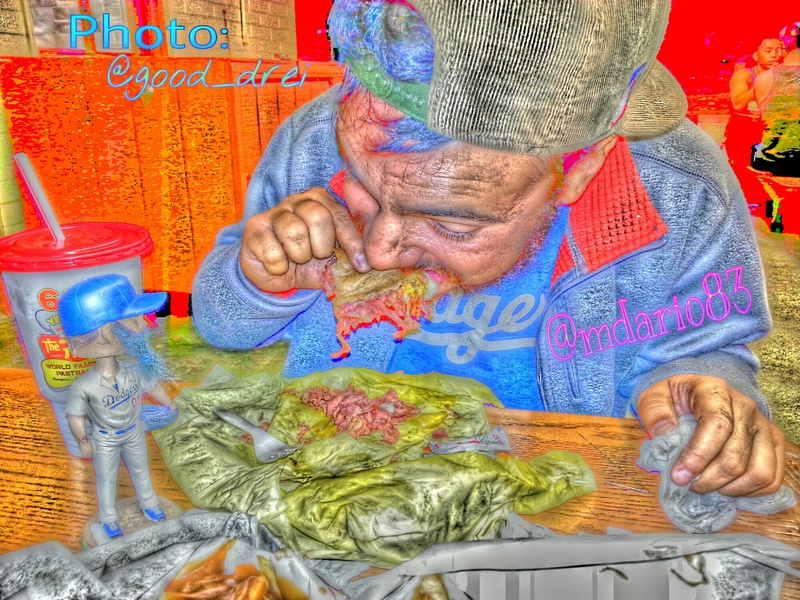 You can find on Instagram @mdario83 . Tell him @good_drei sent you. As I’ve said kid, Never A Dull Moment At The Ballpark. That’s exactly what A.J. Ellis did with his bases loaded RBI as he was hit by a pitch to force in the game winning run. Brian Wilson, with some great defensive help from Scott Van Slyke, would save the game for The Blue as the Dodgers complete a 4-2 road trip defeating the Royals . 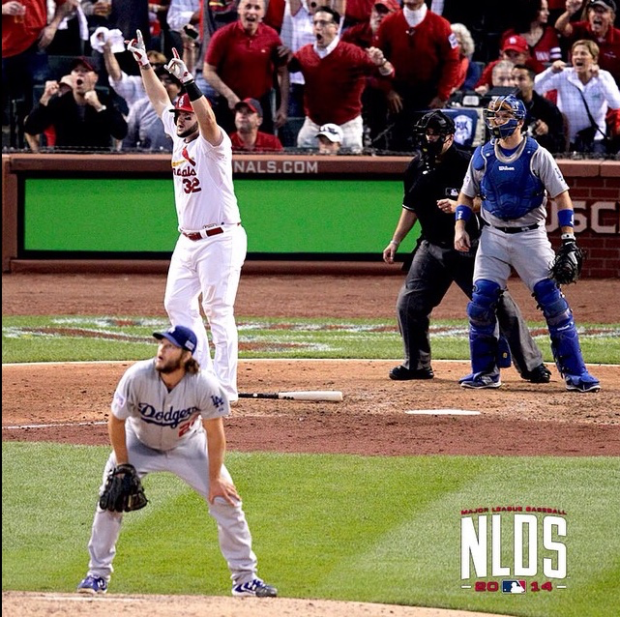 The Doors now return home for 4 in a rematch of last year’s NLCS, with a pitcher’s duel skated to start this 4 game series, as Josh Beckett b takes to the mound against Cardinals ace Adam Wainwright. 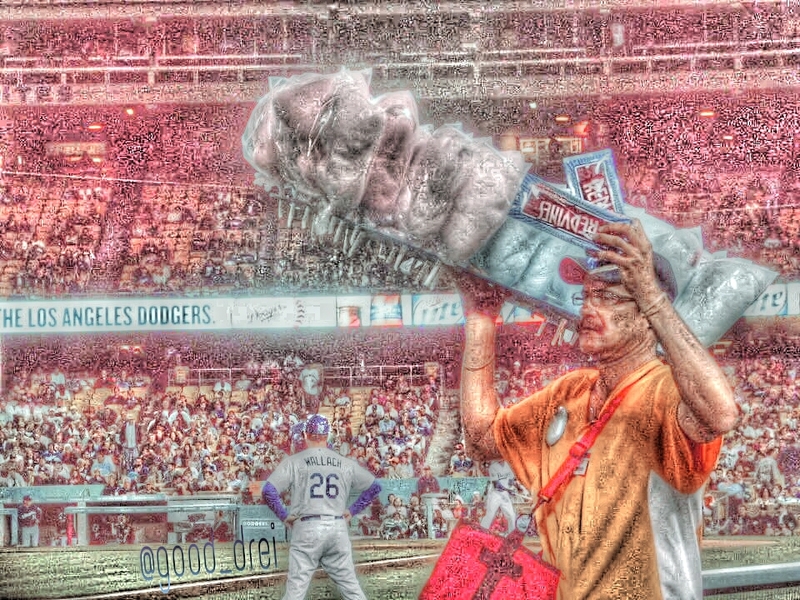 Summer Treats at the Old Ballgame …. Ah yeah. Summer time at the ballpark. It’s that time of year that brings out the kid in all of us. Summer time at the ballpark. One of the many treats the ballpark brings us, be it the ever so timeless classic Cracker Jacks, the ice cream in a helmet for those hot summer afternoons, or the simple joy off cotton candy. It’s one of the many treats we all look forward to on our way to the Old Ballgame. 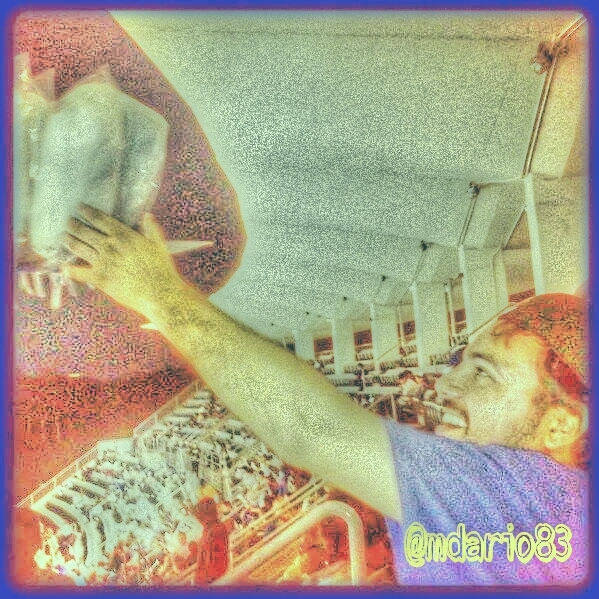 Cotton candy ! Red vines ! Oh what joy this man will be putting on some kids face…. As said, the joy on this kids face as he looks forward to that sweet taste of cotton candy on this summer evening at The Old Ballgame. 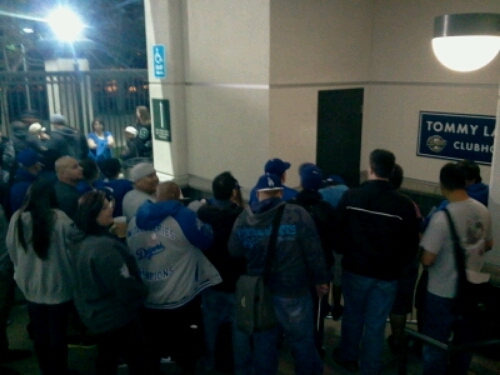 Oh the sights and sounds at The Old Ballgame that bring out the kid in all of us. Even this kid ! Even if this kid is closer to being a ” Viejo” than he is a kid. Yup, that’s what summer nights at The Old Ballgame does to us. It brings out the kid in all of us . 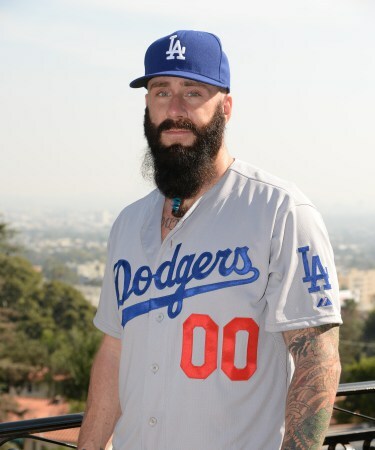 Brian Wilson started last nights game for the Dodgers Single A Rancho Cucamunga Quakes, going 1 inning, retiring the side in order on 12 pitches , including one strikeout. 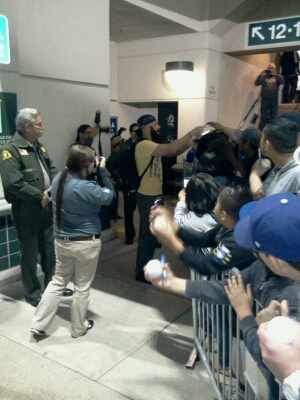 And here he is up close, Brian Wilson, signing for pretty much every fan . 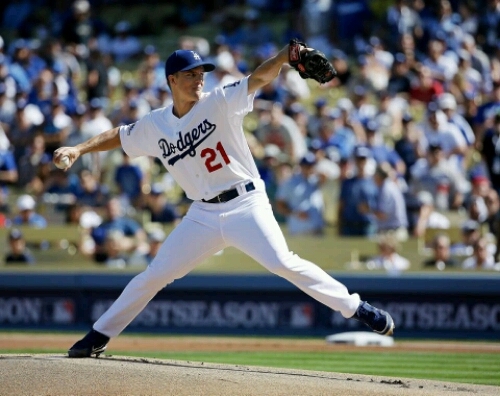 Zack Greinke will take to the hill for the Blue as they try to avoid a 3 game sweep at the hands of the hated ones. The Giants have dominated the first two of home series openers and at 5-1 are off to a fast start themselves. Matt Cain will take to the mound for the Giants in what should be a pitchers duel. So are you guys already panicking ? Of course you are ! It’s what most fans do, especially when our team just got dominated these past two games against our longtime hated rivals. Even with all the high expectationa you all rrally didn’t think The Blue would just coast through the entire season all the way into October did you ? Let’s alson not forget that 162 games is a long season. 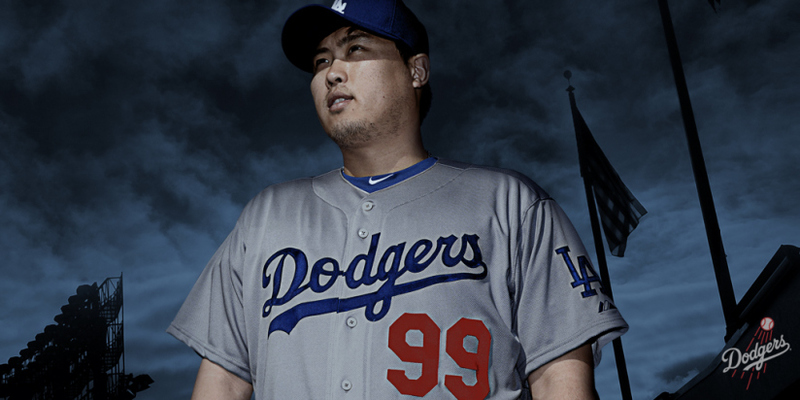 Even the best hit rough spots , such as Hyun-Jin Ryu did on Friday. Let’s also not forget injuries happen to, with Kershaw and Wilson in the DL, Kershaw possibly until June. So having said that , I want to see who steps up in Kershaw’s absence. 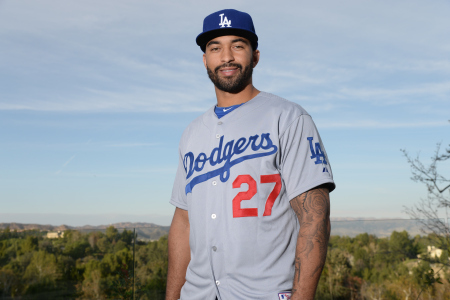 However, I can live with these new, or should I say, new/old Dodger alternates, donned by Hyun-Jin Ryu, Brian Wilson, and Matt Kemp . 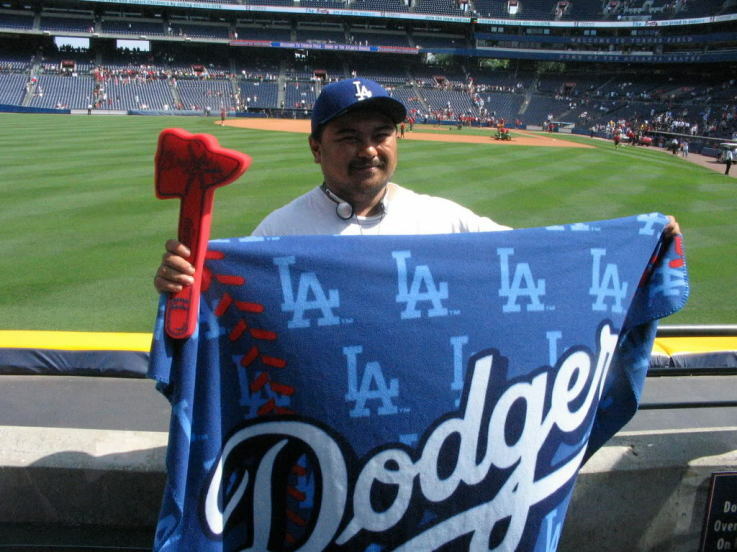 For the first time in history the Dodgers will have a full-time alternate jersey, to be worn for road games. These alternate Dodgers road jerseys are virtually the same road jersey’s the Dodgers wore from 1971-1988 . This was the jersey worn during the ’88 World Series clincher. Overall, I like the current look of the alternate road uni sans the white outline like the current road uni with the Los Angeles script, the jersey that had been worn on the road from 1959-1970. The absence of the white outline gives the road grey’s a clean appearance. 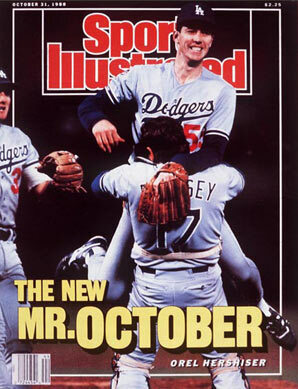 I like how the Dodgers have tied in the past and ushered them into the future. I just hope they maintain their overall tradition and don’t get caught up with any more alternates not familiar to their history. The last thing I would want to see is 5 different looks that you don’t know what is going to be worn. As for the traditional home white with the Dodger script, I highly doubt any additional home uni’s will be added anytime soon. 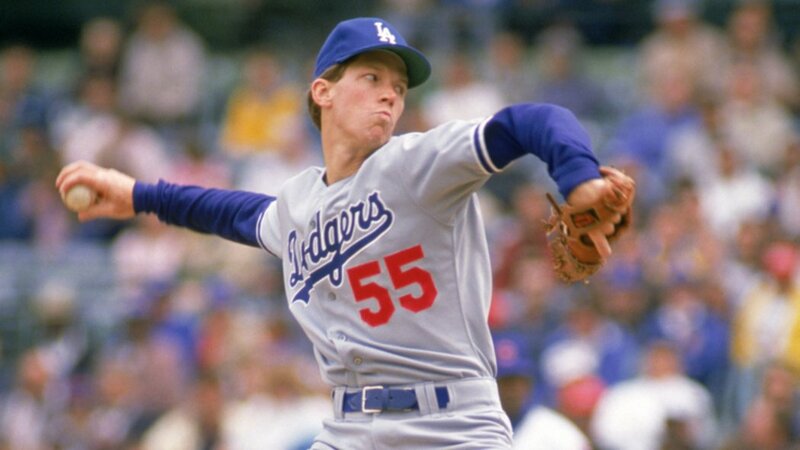 As you may notice, any additions done to Dodger uniforms over the years, mostly minor, have been to the road unis considering most fans hardly see the players wear them live. My next question now is, how will they determine when the new road alternates be worn, be it a Sunday look, a starting pitchers choice or so on….